New, clean great value, convenient to my destination. Breakfast was good with enough choices. The TV in the room was really big and nice. The staff were very friendly and welcoming. Where to find Altoona hotels near an airport? 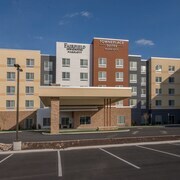 Where can I find hotels in Altoona that are near tourist attractions? Organizing a trip to Central Pennsylvania and would like to book accommodation in Altoona? You'll find 14 accommodations within easy driving distance of the center of Altoona which are in Expedia's extensive network. Looking for a place to stay an easy stroll from the center of Altoona? 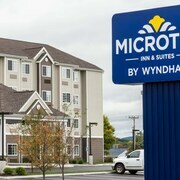 Econo Lodge Altoona and Microtel Inn & Suites By Wyndham Altoona should suit your needs. 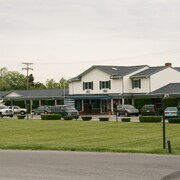 With 2 Expedia hotels, Duncansville is a hotel neighborhood that could be a good place to stay. It is 13 kilometres (8 miles) from downtown Altoona. Some of the most popular of the 2 accommodation options in this area are the Comfort Inn Duncansville - Altoona and Wye Motor Lodge. If you have a budget to stick to and are simply looking for the most affordable Altoona accommodations, there are economy lodgings on offer in the area. The Comfort Inn Huntingdon is 35 kilometres (21 miles) from the center of Altoona, while the The Mill Stone Manor is 40 kilometres (24 miles) away. Different lower-cost room options are the Motel 22 Mapleton Depot and the Super 8 Altoona. 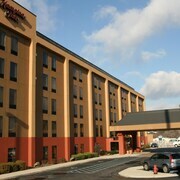 5 kilometres (3 miles) from downtown Altoona, is the Hampton Inn Altoona. 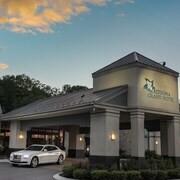 The Clarion Inn & Suites is located 4 kilometres (2 miles) away. 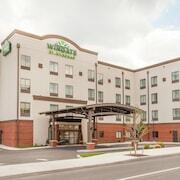 More options here include the Comfort Suites Altoona and the Courtyard by Marriott Altoona. Time permitting, you could discover more of the Central Pennsylvania region. Visit Central Pennsylvania's traditional villages and art museums. Those with a hankering for fresh air and wide open spaces should also take the time to enjoy its rivers and rolling hills. Popular activities in this particular part of United States of America include hiking. Consider spending some time visiting Lock Haven University Clearfield and Clearfield County Courthouse, which you'll find in Clearfield, 55 kilometres (35 miles) to the north of Altoona. 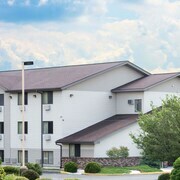 The Hampton Inn Clearfield and Comfort Inn Clearfield are just some of the fabulous Expedia-listed apartment and hotel alternatives in Clearfield. Or, you could stay in DuBois, 75 kilometres (46 miles) to the northwest of Altoona, where you can choose from the Hampton Inn DuBois and Holiday Inn Express Hotel & Suites DuBois. If you're staying in DuBois, be sure to check out the Sandy Township Recreational Park and Dubois Area Historical Society. Why don't you check out our Altoona travel listings and explore the fascinating things to do, see and eat that this area offers visitors. 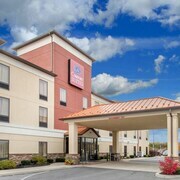 What are the most popular Altoona hotels? Are there hotels in other cities near Altoona? What other types of accommodations are available in Altoona? Explore Altoona with Expedia.ca’s Travel Guides to find the best flights, cars, holiday packages and more!